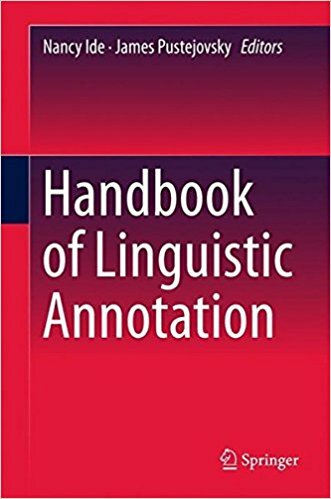 This handbook offers a thorough treatment of the science of linguistic annotation. Leaders in the field guide the reader through the process of modeling, creating an annotation language, building a corpus and evaluating it for correctness. Essential reading for both computer scientists and linguistic researchers. Linguistic annotation is an increasingly important activity in the field of computational linguistics because of its critical role in the development of language models for natural language processing applications. Part one of this book covers all phases of the linguistic annotation process, from annotation scheme design and choice of representation format through both the manual and automatic annotation process, evaluation, and iterative improvement of annotation accuracy. The second part of the book includes case studies of annotation projects across the spectrum of linguistic annotation types, including morpho-syntactic tagging, syntactic analyses, a range of semantic analyses (semantic roles, named entities, sentiment and opinion), time and event and spatial analyses, and discourse level analyses including discourse structure, co-reference, etc. Each case study addresses the various phases and processes discussed in the chapters of part one.